The first installment of Capcom’s new episodic game, Resident Evil: Revelations 2, sees a one week delay! 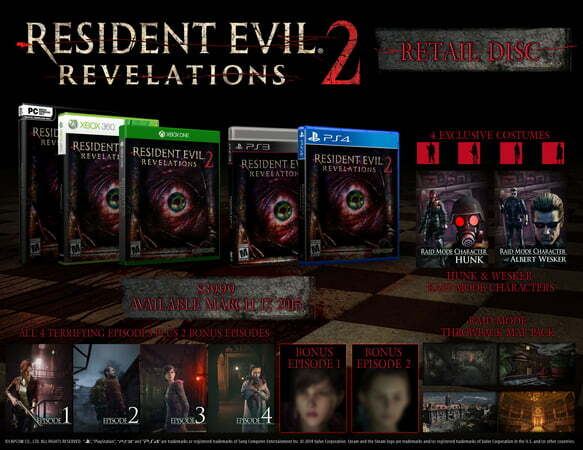 After a full one-week delay, the first episode of Capcom’s Resident Evil: Revelations 2 is set to release February 24, 2015. Each episode on its own can be picked up for $6, or players can purchase the whole season for $25. The retail disc package, shown below, can be purchased for $40, and includes additional episodes, maps, and skins.